Broadcast production veteran Henrick Strait-Hinnerichsen has been named the new general manager, Atlantic Canada at FMAV. 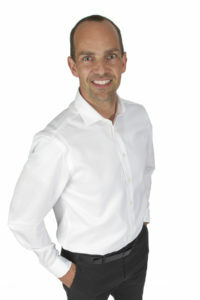 Strait-Hinnerichsen brings over 20 years of expertise in broadcast production, operations management, marketing and business strategies, with the last 10 years focused on operational efficiency, communication, technological best practices and project management in both public and private sectors. In his role as general manager, Strait-Hinnerichsen will lead FMAV’s business operations in Atlantic Canada including live event production as well as the management of venue operations including the Halifax Convention Centre. A proud Haligonian, Strait-Hinnerichsen will continue to actively contribute to the local community as Eastern Regional and National Board Member with the Canadian Progress Club. FMAV is the audiovisual and event technology company for people who plan meetings and live events. As the largest Canadian-owned audiovisual company, FMAV has more than 250 staff across seven offices from coast to coast, including Vancouver, Calgary, Edmonton, Toronto, Ottawa, Montreal and Halifax. For more information, visit fmav.ca.